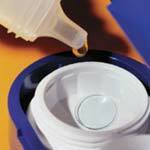 There are many different brands and types of contact lenses solution products to choose from. The best place to get advice is from your eye doctor, but in some cases a recommended contact lens cleaner or other solution type may cause a reaction due to sensitivity. The only way to know if you are sensitive or not is to use the product. You should never switch products without checking with your eye specialist first, because mixing some solutions together can cause damage to your eye or lens. Gas permeable contact lenses may not be as well known as the soft type, but for many conditions these lenses can be ideal when soft lenses will not work or are not preferred. 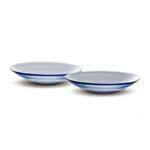 They may also be called rigid gas permeable contact lenses or even at times oxygen permeable lenses. A common misunderstanding is that many people think these lenses are the hard ones first available a long time ago, and that is not the case. 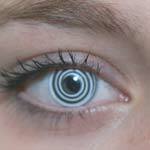 Original lenses did not allow oxygen through the barrier, but this new type first developed in the 1970s does.